Hey Sparky, Are you still struggling to get access back on your Wordpress website. Don’t worry Askmeshout is here to guide you step by step and within few minutes you will get back to your work. 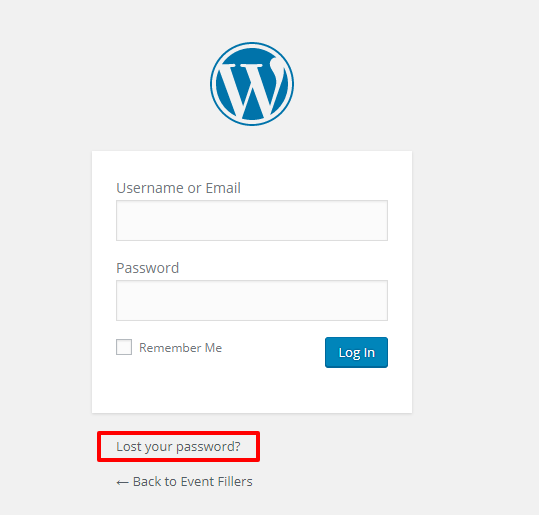 Although, Wordpress has introduced the easiest ways to reset Wordpress password via email id. 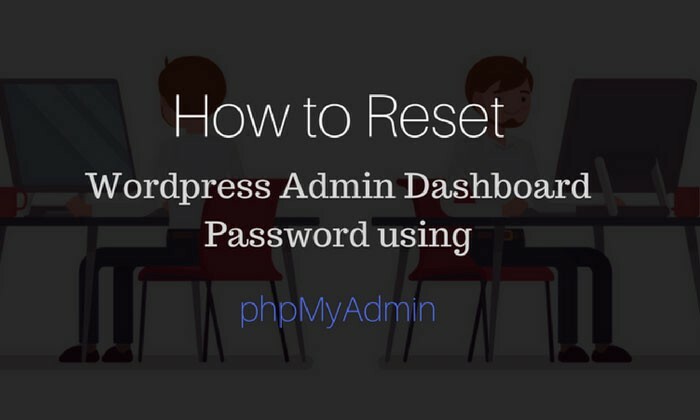 So today we’ll share both the ways to reset Wordpress password. In this step, first open the new tab on your browser and enter your website URL like https://www.yourdomainname.com/wp-admin and you will find the window like below. Just click on “Lost your password”, after that you will be redirected to the new window where you will have to enter your registered email id and click on “Get the new password”. As simple as below image. 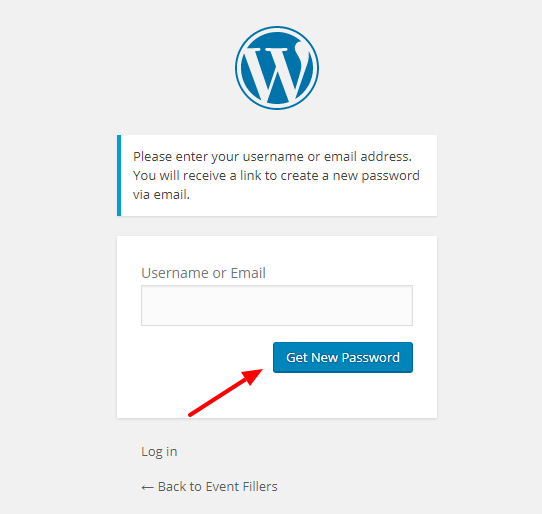 Once you clicked over here, You will get a new email from Wordpress containing the link to reset you Wordpress password. CONS: — You must have access to your email id to reset the password using this method. If you don’t have access to your email too, don’t worry there is another medium. In this step, you must have access to your cPanel where your website is getting hosted. Log in to that cPanel and move towards the database panel option and find “phpMyAdmin” and just click over that. After that, you will be redirected to your Wordpress database where all the data of the website has been stored. Now find the database name of your website from the list like this on the left-hand side panel and click over that. Once you click on the database name you have selected, you will get all the tables associated with that database. Now move forward and find out the table named “wp-users”. It is the actual table which contains the username, passwords as well as registered email address of all the users who has registered on your Wordpress website. Once you clicked on Browse button after that find your username i.e. user_login and your registered email id in user_email column. However, you can not find your actual password since the password you will find here in encrypted due to Wordpress security. 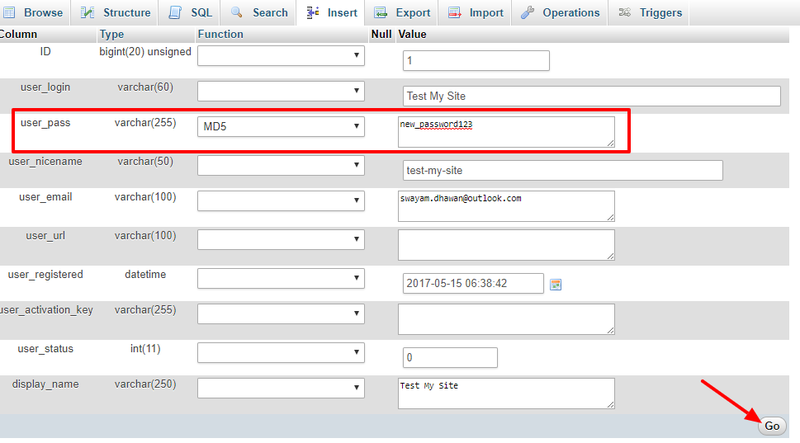 Click on Edit Button as shown in Point-1 and move forward to reset Wordpress password using PHPMyAdmin. Here you will have an option user_pass as shown in the image above. In the third column there is a drop-down select MD5 among of them and enter your password in the next column then click on Go. Here MD% has been selected so that your Wordpress password will get encrypted after you Ht Go. That’s it! Now you have reset your Wordpress password successfully. You will also get notified for this password change activity via email. Now move to your login panel and you have full access to your Wordpress website dashboard.